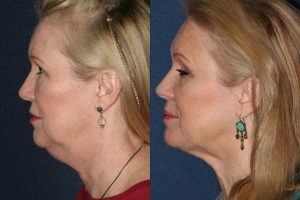 Submental chin fat can be a big problem for some people, as it is difficult to get rid of and can make you look older and heavier than you really are. There are no exercises that work specifically for the chin, and if you are predisposed genetically to a double chin, even a healthy lifestyle and diet may not help much. Women may also suffer from a “turkey wattle,” or excess loose skin under the chin caused by gravity and the natural aging process. However, there are a variety of means available to help reduce the appearance of both a double chin and loose, sagging skin. You don’t have to live with an unwanted, unattractive chin contour – with the help of liposuction or one of our non-invasive skin tightening devices, you can get on the road to achieving a sculpted and defined chin! Chin liposuction is the original and still the most effective way to reduce saggy skin under the chin. Liposuction involves a longer recovery period than non-invasive options, but it will achieve the most dramatic results over a single treatment. 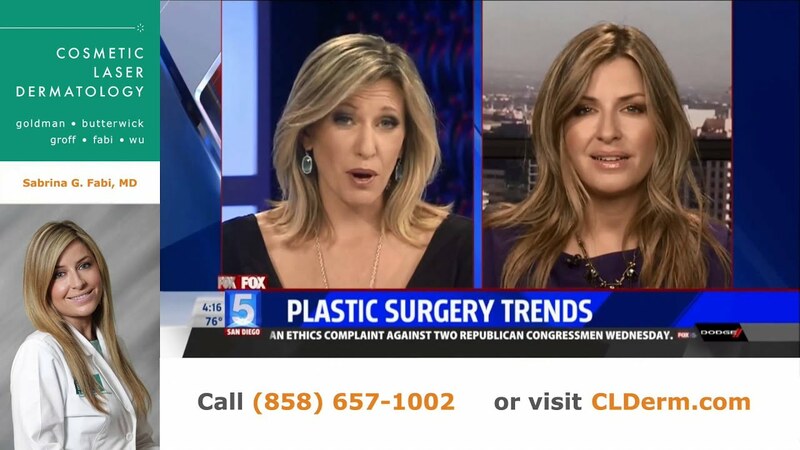 Here at Cosmetic Laser Dermatology in San Diego, we perform tumescent liposculpture of the chin, which results in less downtime than “traditional” liposuction. Tumescent liposculpture involves only local anesthetic, which reduces the risk of side effects from anesthesia and allows patients to be up and about much sooner than they could after general anesthesia. Recovery after tumescent liposuction takes just a few days before patients are presentable again, so we recommend having the procedure done over a long weekend when you have the time to rest and recover out of the public eye. 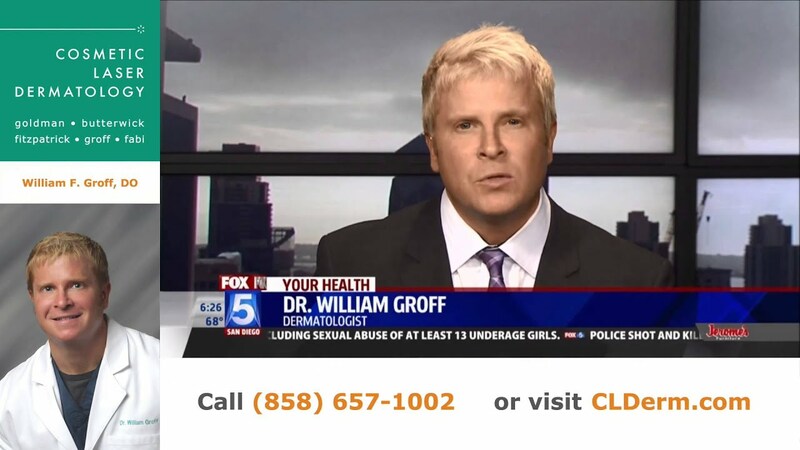 This procedure is very safe and effective and has a high rate of success. 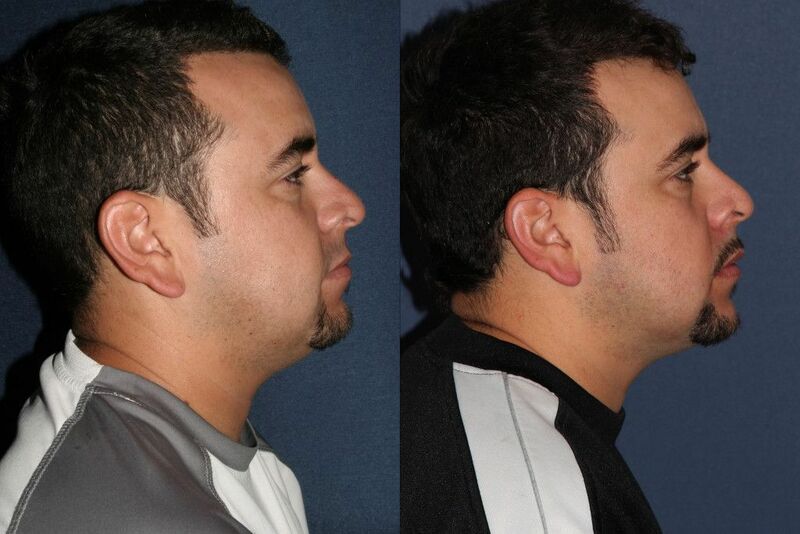 CoolMini is the latest FDA cleared non-invasive treatment for submental fat under the chin. It can also be used on other areas of the body with small, difficult to treat pockets of fat, such as the armpits and knees! CoolMini uses the same cryolipolysis technology as CoolSculpting, with the same rate of effectiveness. The applicator selectively “freezes” the submental fat cells, leading to a 20-30% reduction in fat after one treatment. Multiple treatments may be done to achieve a more dramatic effect if desired. CoolMini involves no downtime, and side effects may include minor swelling, redness, and numbness that will disappear on its own in a matter of hours to weeks, depending on the patient. This liposculpture treatment is great for people with small amounts of fat under the chin who don’t necessarily want to undergo liposuction. Kybella is an injectable treatment for melting chin fat that was FDA approved in 2015. This treatment works by using deoxycholic acid to target and destroy unwanted fat cells. 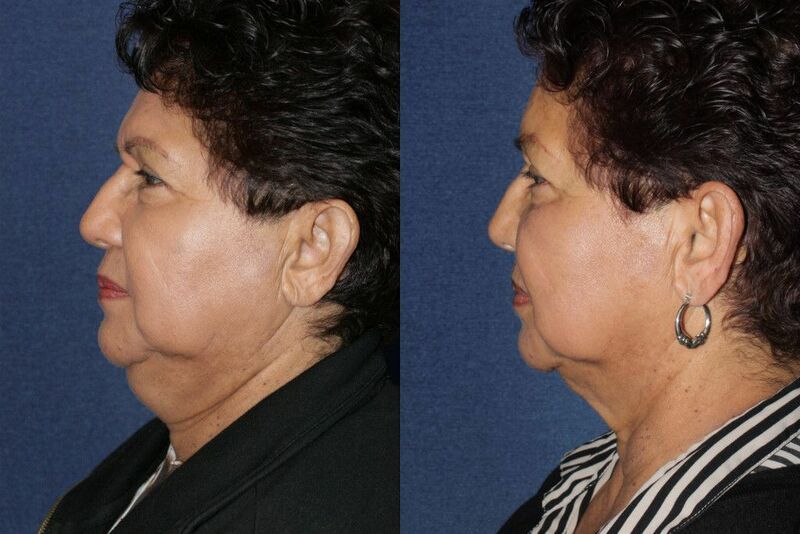 A series of injections are placed at strategic points under the chin, and over time the fat cells are destroyed and eliminated naturally by the body, allowing a double chin to reduce in size and the chin to become more contoured. Kybella involves only minimal downtime, but we recommend that patients do it over a weekend just in case there is significant swelling. Swelling, bruising, and numbness are the side effects most commonly associated with Kybella, but these are generally minimal and will resolve on their own. Ultherapy is an FDA cleared, effective treatment for lifting and tightening skin on the neck, chest, and face non-surgically. It uses ultrasound energy to penetrate deep into the tissue and stimulate collagen production, thus causing the skin to regain some elasticity, tighten, and retract, leaving you with a firmer, more youthful neck contour. Ultherapy can be used to smooth chest wrinkles, contour the neck and chin, and even brighten the eye area by tightening drooping skin around the eyes. It can also be used in conjunction with the fat reduction of the chin to help tighten any potential loose skin afterward. ThermiTight is a minimally invasive contouring procedure that uses a small probe inserted under the skin to conduct radiofrequency energy into the deep tissues. This radiofrequency energy heats and contracts the dermis, which in turn stimulates collagen production and leads to tighter skin. ThermiTight is often used in conjunction with liposuction of the chin for a comprehensive fat reduction and skin tightening treatment that leads to the best neck and chin contour possible. ThermiTight requires no downtime and can be done on its own or with a fat reduction procedure. It can also be used to reduce fat, simply by changing the settings on the radiofrequency device.